Shaw, G. (1800). 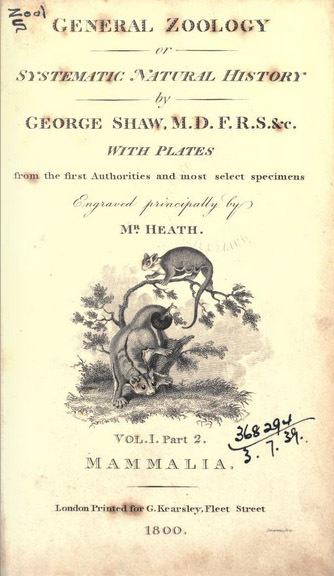 General zoology; or Systematic natural history (1st ed.). London: G. Kearsley.